The Winter 2018 anime season is upon us, and that means it’s time for us to detail which of the many upcoming projects are most likely to deliver on their promises. A usual, we’ll be highlighting the series where interesting premises overlap with creators who can properly handle them, as well as general comments on the health of the productions, and some behind the scenes comments. Titles like DEVILMAN crybaby, DARLING in the FRANKXX and Violet Evergarden were a given, but if you want to keep up with the onslaught of new anime, there’s plenty more choices that could easily go unnoticed. Enjoy this long preview! Kevin: Easily the most interesting entry in the ongoing campaign to celebrate the 50th anniversary of Go Nagai titles; don’t take this as a dig towards neat revival projects like Akitoshi Yokoyama’s Cutie Honey Universe, but having none other than Masaaki Yuasa handling a complete adaptation of the original Devilman is as exciting as this was going to get. A very ample schedule and a platform with no restrictions have allowed him to put together a reinterpretation of the classic with no compromises when it comes to either the production or the content. The importance of the former is self-explanatory, since as Ping Pong: The Animation sadly proved, not even Yuasa is immune to the issues that plague this industry. Fans might be more excited about the latter however, as Devilman is a notoriously gruesome work that would lose much of its impact on TV. This is hardly something I’d normally put emphasis on, but the carnage and explicit sexual content are so integral to the series that this does make a difference. If the surrounding circumstances are ideal, so are the people in charge. Yuasa is the kind of director who needs no introduction at this point, and a show like this seems a perfect fit his personal endeavor to find love in unlikely places. Fans of studio BONES works might also be acquainted with character designer Ayumi Kurashima, protegé of renowned animator Kenichi Yoshida and whose soft touch will give an interesting new spin to the series too. But when it comes to the design work, the star is clearly Kiyotaka Oshiyama. He gained notoriety as a director after leading the unique Flip Flappers in 2016, and yet his exquisite design sensibilities are still unknown to many; his round forms tend to be very charming, and according to Yuasa himself, he’s struck a curious balance between that and the sensuality and terror inherent to the demons. The core staff won’t be alone either, as we already know tidbits like the fact that the explosive Takashi Kojima single-handedly key animated episode 9 of the series, meant to cover one of the most important developments. Go Nagai’s iconic concepts couldn’t be in better hands! Since the series will drop as a batch release within days, you can expect coverage soon, in whatever format we settle on. There’s no skipping this one. Ryan: Aniplex’s big original mecha project for the season is a Gainax adventure in all but name, with a flavor that fans of 2011’s The [email protected] in particular will easily recognise. Director Atsushi Nishigori is helming one of the biggest prestige projects of the year, at the very least on paper. He immediately proved his worth as project leader on the aforementioned The [email protected], though in many cases it was the support of Noriko Takao‘s delicate work that helped the show reach the heights it did. Thankfully for him, Takao’s presence in this project has already been confirmed, alongside many others of his previous companions. This time around it’s Toshifumi Akai who will serve as Nishigori’s main partner in crime, in what seems like the final stepping stone towards his appointment as main series director in the future; after his work on the Shelter music video and the Million Live 4th anniversary PV, we know for a fact he’ll be giving it his everything here to prove he’s ready to manage his own show. We can’t attribute the frankly insane amalgamation of talent to a single previous project, though. Masayoshi Tanaka of Your Name fame will provide his lovely designs and very thorough corrections to the plate, while the Gainax spirit will continue with Trigger’s own Hiroyuki Imaishi focusing exclusively on making the action as exciting as possible – both points that synergise well with the outrageous animator army it’s also assembled. Megumi Kouno has personally confirmed her own involvement, while we can also expect the likes of Isao Hayashi and Akira Hamaguchi to deliver a significant amount of work, alongside plenty of Trigger regulars. Sejoon Kim mentioned his plans to act as an animation director on the project as well, likely lending his mecha expertise but also to keep on expanding his repertoire towards character work. Even renowned production assistant Shouta Umehara has been moved over here from SideM as well, meaning that the crew of outstanding youngsters he’s attached to will follow suit as well. This is by all means an all-star team. I did mention on paper earlier for a reason, though. 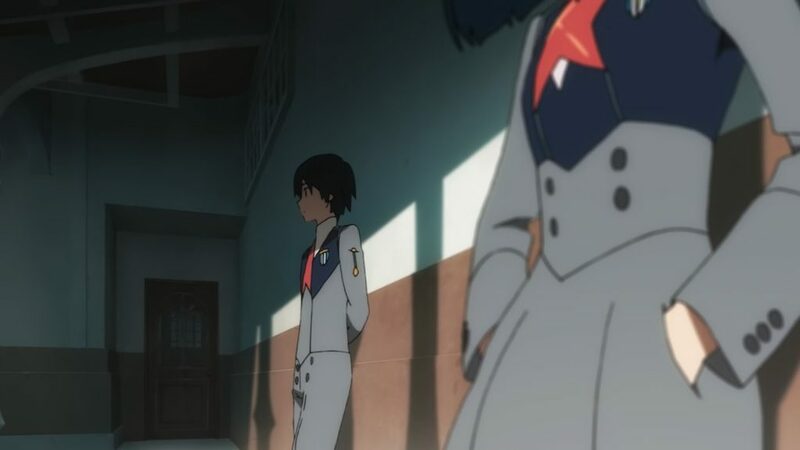 It’s become clear that Darlifra is airing earlier than was planned due to unknown circumstances; details like the timing of the announcement and staff reshuffling like what happened to Umehara would be suspicious enough, but the creators themselves have admitted off-record that this was meant to be a 2 cours anime airing next spring. Its active production started in September, which would easily be enough to make it work with the intended April broadcast but will be much tighter now, despite sending extra help to the project. The details mentioned at that point might have been altered even further; rather than Khara by themselves, the CG will now be a collaboration with A-1’s own 3D department, and even the percentage of hand drawn vs 3D robots – initially meant to be 70-30% – might have changed too. 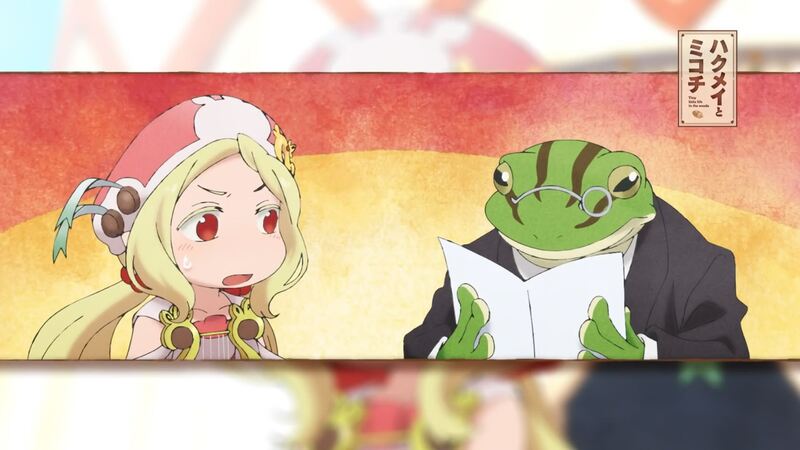 The unfortunate return of the A-1 scheduling curse is coupled with Trigger’s also questionable history of management, which might not be the greatest combination. Don’t take this purely as doomsaying, since the people involved are sadly accustomed to dealing with circumstances like this, and the concentration of talent is so outrageous that they’re bound to deliver spectacular work nonetheless. But since it will have an effect on it, this is all worth keeping in mind, specially if things take a turn for the worse. On a more personal note, I’ll admit that the initial amazement over the unbelievable lineup of artists has been fading over as they’ve been giving more details about the show, but the fact that I’m still more than willing to watch and possibly even cover it here speaks volumes of the excellence of the creators involved. While DARLING in the FRANKXX comes prepackaged with some issues, it’s one of the titles most densely packed with talent not just this season, but surely this year. Kevin: The single grand prize winner in the Kyoto Animation Awards took a bit longer than expected to materialize, although that’s partly because the studio wanted to make it special even by their high standards. 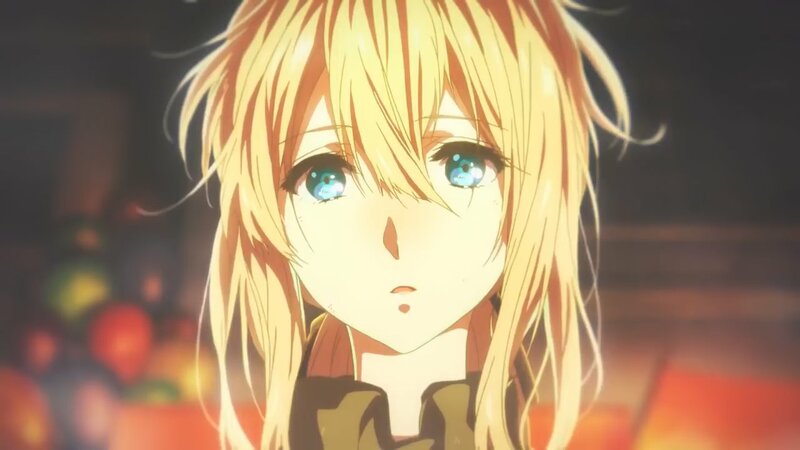 Not only is Violet Evergarden impossibly lavish, it’s also a title with a broad appeal, built from the ground with a worldwide – which shouldn’t be interpreted as international-only – audience in mind; even though it wasn’t part of the initial plans, it’s easy to see why they entrusted a project like this to Netflix, whether that ends up being beneficial or not. The excitement they’ve built over the last few years is going to be properly rewarded with a level of draftsmanship that defies the limits of TV anime. Production values alone can’t buy you eternal goodwill, but capable execution of solid material is bound to attract countless eyeballs when it comes in a package this shiny. It seems almost inevitable that this series will make it big. But what is Violet Evergarden anyway? Early coverage of the series has been so focused on the exceptional production that despite all the buzz, you still see people wondering what is it about. There are a couple of good reasons for this very lopsided discourse: for starters, it is that impressive looking, as I was able to experience. At the same time, the core concept is straightforward and meant to be a slow burn, which means that early narrative appraisals don’t necessarily hold much value. As the staff have repeatedly explained, it’s a tale about Violet’s emotional growth, starting from essentially zero. A robot growing acquainted with emotions through a series of episodic adventures while gradually building up towards an overarching narrative is fairly standard fare, and alongside director Taichi Ishidate‘s western sensibilities and the obscene polish, makes the whole ordeal feel like anime escaped from Hollywood. There’s a clear intent to give it a bit more of a humane edge, as they’ve notoriously rearranged the events to paint a clearer picture of Violet’s emotions, and plenty of original characters are already showing up to make the workplace feel more lively – the kind of approach you would expect from series composer Reiko Yoshida, who for the first time will be part of a core staff at the studio without her friend Naoko Yamada. For better or for worse, you should expect a departure from most KyoAni projects, even if the priorities stay similar. Accompanying Ishidate and Yoshida there’s the duo of women who are bound to become the new Kyoto stars: series director Haruka Fujita and character designer/chief animation director Akiko Takase, both promoted to those roles in this project. Fujita’s delicate touch had already earned her the right to be a de facto series director over the last year, but seeing her be entrusted with a big project is heartwarming nonetheless. And Takase’s story is even more outrageous, to the point that the speed at which she’s climbed the ranks and her unparalleled level of detail are recurring gags at the studio. I’ll spare you the long story though, since as you can guess, I’ll be covering this show weekly. Look forward to that! Liborek: It’s SHAFT’s turn in Type-Moon’s current quest to have as many studios as possible handling their endless wars between Servants… or delightful cook-offs, as it turns out. Fate/EXTRA Last Encore is, if you don’t count the Nisekoi sequel he crudely inherited, Yukihiro Miyamoto‘s first major project at the studio after wrapping up his Madoka duties. He’s long evolved from the quirky comedy director he used to be, having made imposing architecture that dwarfs the characters and surreal imagery into part of his brand too. Whether the series as a whole succeeds or not, there’s no doubt that he’ll be able to put together many memorable shots. And if the recent Fate/Apocrypha has proved something, it’s that the general premise of this franchise really is a great venue for animators to flex their muscles with various types of action scenes. The people at the studio have brushed off their contact lists and recruited an animator who had worked with them on a couple of occasions in the past: renowned action specialist Kazuhiro Miwa. He’s recently lent this expertise to projects like My Hero Academia and Granblue Fantasy, and his spatial sense and dynamism make him a great fit to unleash the potential of Fate‘s action scenes. His role of action director (アクションディレクター) is the same that Shun Enokido and Takahito Sakazume sported in Fate/Apocrypha, though it’s hard to tell if Miwa will have as much of an influence on the show’s visuals as they did simply by nature of how different the projects are. Truth to be told, there are plenty of reasons to worry about Fate/EXTRA‘s production, which is something that won’t surprise fans of the franchise nor the studio… nor the people making it, for that matter. As sad as it is to say, Miwa himself is also very used to poor schedules, so despite it being a limiting factor we’re still bound to receive many satisfying highlights. It’s up for debate whether he’ll be able to attract similarly talented peers to help him out some more, but the quality of his own output shouldn’t be put into question. Rather than the highs I would worry about the lows however, since the standard animation in the PV already looks quite rushed, as if only the closeups were able to receive proper attention. The project as a whole is quite intriguing, but it demands that you keep your expectations in check. 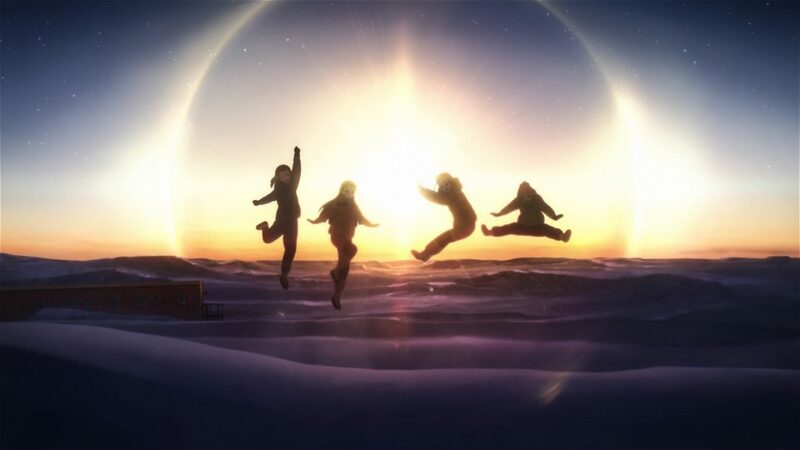 Kevin: Not so much a speculative choice as its broadcast has already begun, but worth highlighting for those who haven’t yet embarked in this lovely adventure to the Antarctic. Director Atsuko Ishizuka is undeniably the most idiosyncratic voice remaining at Madhouse after a decade of exodus. This doesn’t necessarily mean she’s the greatest director in their lineup, although I would argue that she’s definitely up there, but her distinct touch is unmistakable; a boldly emotional style, blatant imagery taking the forefront, and a fondness of colorful lighting she borrowed from Ryousuke Nakamura that she’s then evolved into one of the liveliest signature styles in the whole industry… arguably to the point her work can be aggressive to the eye, especially when she goes overboard with the pink hues. While the core of that style still remains, she’s taking a quieter approach, particularly on an aesthetic level. The motifs as the protagonist finally decides to take the first steps outside her comfort zone are as unsubtle as ever, the unashamed sentimentalism immediately makes the main duo’s relationship feel sincere, and yet the show’s restrained palette sets it apart from her previous colorful titles. A pity to some degree, but if it stays as solid as its premiere, that will make it the easiest Ishizuka recommendation for those who aren’t sure if they enjoy her work yet. It’s worth noting that character designer Takahiro Yoshimatsu has been in charge of many noteworthy anime, most notably Hunter x Hunter (2011) when it comes to Madhouse works. But since he’s got two projects at the studio this season, and considering how limited the animation in the first episode was, I wouldn’t expect any flourishes this time around. Even though she’s showing restraint, Ishizuka will be the one providing the most flair to this series, hence why I focused so much on her. Kevin: Although an anime with a premise that hints at romance between an adult and a teenager rings all alarms, this one appears to handle it with enough tact that it’s worth the consideration. If the age gap doesn’t fundamentally put you off, and if WIT’s overloaded schedule doesn’t get in the way, you’ll be happy to hear that this is in very good hands. Ayumu Watanabe is one of the many interesting directors who matured at studio Shin-Ei, though his claim to fame came afterwards – particularly Space Brothers, although the cult hit Mysterious Girlfriend X might be more representative of his qualities as director. Less fortunate projects proved that he can do no miracles, but with supposedly strong material in his hands, he packs quite the punch. If the director is worthy of note, the person leading the animation department is arguably even more interesting. Yuka Shibata has experience all over the industry, but it was at 00s Gainax that she made a name for herself. It’s understandable then that she followed the crew she worked with to TRIGGER, to the point she can proudly say she was the director and storyboarder for the first episode the studio ever produced: The [email protected] #17, where she even assisted sushio as animation director and provided key animation. Everyone expected her to become one of the main figures at the new studio, but she left immediately afterwards to instead become a key figure at ufotable, even acting as the character designer on the delightful Majocco film. Not content with that, she once again left her stable workplace to become a freelancer in 2016. Nowadays she’s back to working with right about everyone, giving preference to her old Gainax pals but also open to projects in other studios like this one. Although she doesn’t have the finesse of contemporary Gainax ladies like Shouko Nakamura and Akemi Hayashi, Shibata is an excellent animation director, and her designs for this series maintain the dignified charm of the original. If you’re a fan of the source material, worry not, they will do it justice. Kevin: Series director Mamoru Hatakeyama, then credited as Shinichi Omata, was one of the most interesting directors who polished up their skills at studio SHAFT over the last decade. His departure and recurring work with DEEN afterwards have been a huge factor in the critical reappraisal of the latter studio’s output, especially after his exquisite work on Rakugo. But rather than a prestige manga dealing with the swan song of an artform, this time he’ll be handling the adaptation of a standard fantasy light novel – a less interesting prospect to say the least. Ryousuke Nakamura was recently faced with a similar situation and managed to make Grimgar into his own meditative take on loss, but it seems like Hatakeyama’s presence will be less transformative in this case. That said, he still is a very capable director, so he should manage to stand out even without particularly inventive concepts. And awkward CG armies aside, there are plenty of sparks of good animation in the promotional videos as well; the surreal animation of Hokuto Sakiyama seems to make an appearance – which would make sense if they reassemble The Asterisk War crews – alongside action stars that might very well be Takahiro Shikama and Takashi Torii. As long as other action-oriented A-1 productions don’t asphyxiate it too much, we should expect quite a few impressive sequences here. Perhaps not a broad recommendation, but definitely a show to keep in mind if you fancy some flashy fights. Kevin: The adventures of a couple of tiny girls living together in the forest alongside their peers, regular-sized animals, and a bit of magic added into the mix are a solid basis for a pleasant cartoon. 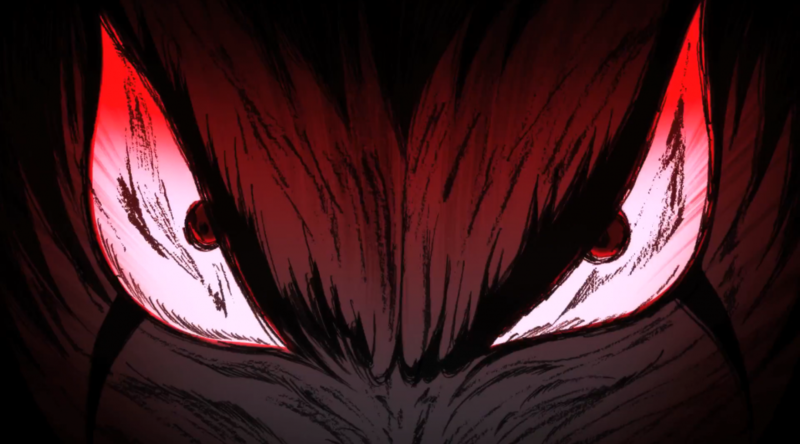 Series director Masaomi Ando has developed a unique enough style to gain a bit of a following over the last few years, with quirks like the emulation of manga panels that he’ll also be using in this show. Rather than applying them to dramatic or otherwise tense series like Scum’s Wish and Gakkou Gurashi like he had been doing as of late, this time we’ll be experiencing his take on cheerful everyday life, which might be a welcome change to make up for the over-eagerness he sometimes has to leave a visual impact. HakuMiko has its moments of wonder and natural beauty, but it’s less evocative than recent noteworthy entries in that genre space like Girls’ Last Tour, instead focusing more on the comedy. Perhaps the anime will take a turn for the atmospheric however, since one of the most interesting points about the adaptation is that it’s being promoted as a collaboration between animation studio Lerche and art studio Kusanagi. Mind you, that doesn’t mean they’re changing the way anime is produced, but it indicates that the depiction of the magical forest is just that important for the staff. 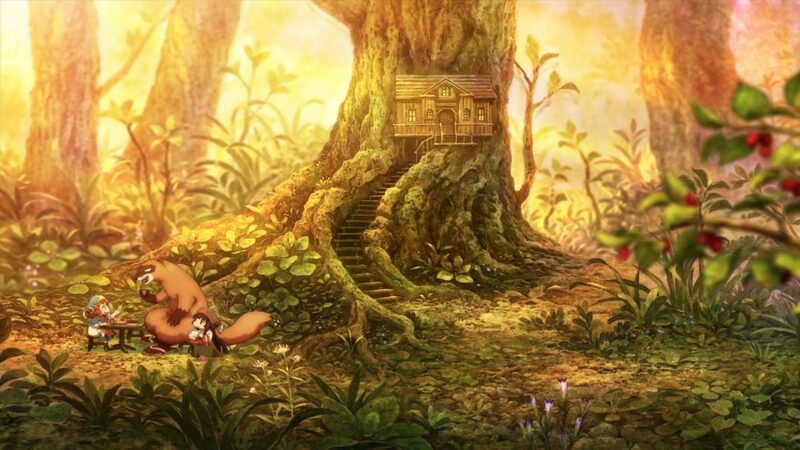 The textured painting not just over the backgrounds but the characters as well successfully emulate the colored illustrations from the manga, and beyond that, it appropriately makes it look like a fairy-tale come to life. This is a fairly quiet series you should keep an eye on. Ryan: Allow me to build up some modest hype for another A-1 show, because that’s just what I do now. Director Hiroyuki Hashimoto is a nice fellow who I’ve had the pleasure of translating for previously, whose work is hardly spectacular but tends to get the job done in a satisfactory way. He’s undoubtedly a significant factor in the continued popularity that Is the Order a Rabbit? boasts today, essentially unmatched in its genre in the last few years. My attention is however focused on animation producer Yuichi Fukushima, whom I’ve talked about because of the important position he holds within the imas crew. He’ll be directing most of his energies towards DARLING in the FRANKXX as that’s his main project, but talented people tend to follow wherever he’s involved. As proof of that we have lively main animator Kosuke Yoshida, as well as the cute sensibilities of young ex-Kinema Citrus Masako Ito, who was already acquainted with Hashimoto. The character CMs and PV itself have already given us little morsels of delightful character animation, so it only feels right to highlight this as a low-key pleasant surprise. Liborek: Kind of a hesitant pick, but Seiji Mizushima is enough of an institution in the industry – in addition to being a great Shirobako character – to justify a mention. All the experience with sci-fi titles he has under his belt might make up for the fact that the crew he’ll have at Diomedea is hardly ideal for demanding material, and his connections open up possibilities for many talented people to come and assist him – if any are available, that is! I’m a fan of Hiroko Yaguchi‘s animation designs in general, even if they pack less of an immediate punch than redjuice’s fancy illustrations, so I have to applaud his choice to reunite with his UN-GO partner. My recommendation would be to keep in mind that the production is likely to struggle a lot, but also the fact that the core staff here are quite good. A mixed bag that the source material will tip towards either end. Kevin: The realistic animation showcased in the promotional video is a sight to behold, creating the illusion that they truly kidnapped a foreigner which oh my god they did. bkub’s surreal masterpiece might very well be the most exciting upcoming project, in the sense that the possibilities are limitless and no one knows what the staff’s approach is even going to be. There are many strips in the original comic where the punchline is so inherently tied to the format that an entire reconstruction is needed for it to become an anime, which is an enticing prospect if handled inventively. Studio Kamikaze Douga is one of the most beloved 3D animation companies in Japan for good reason, though it’s worth noting that their brightest director has left them. By putting this project in the hands of youngsters we have even less of an idea of how this will turn out, and that’s honestly a very Pop Team Epic development. Kevin: As usual, before wrapping up we’d like to offer some notes on productions that don’t appear to be as robust, but that stand out in some way or the other. It’s easy to point at Kokkoku if you’re looking for significant titles – the first TV series by ambitious Manglobe successor Geno Studio, which will have a Yasuomi Umetsu solo ending sequence to boot – and even the likes of The Ryuo’s Work is Never Done! 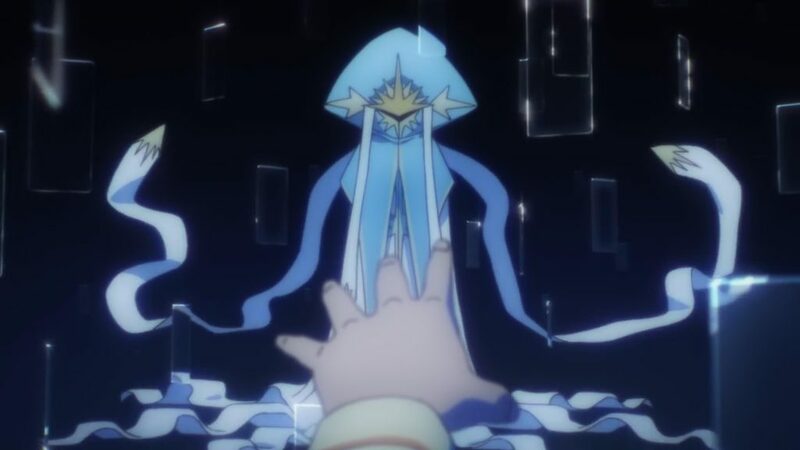 stand a chance to be more polished than usual, but let’s not kid ourselves: the most important winter 2018 anime I’ve yet to mention is Cardcaptor Sakura: Clear Card. When its disappointing prologue arrived I shared my negative thoughts regarding the new design work and the conservative approach taken by living Madhouse legend Morio Asaka, and for the most part, those extend to the new series too. The new trailer did however show that at least early on, the TV series will have notoriously higher production values, so I wouldn’t rule out the sequel to one of anime’s most charming series quite yet. I wish I could be a bit more enthusiastic in my recommendation of Miira no Kaikata / How to Keep a Mummy as well, but in this case the promotional material makes it look like too modest of a production to preemptively hold it in high esteem. Director Kaori crowned herself queen of quirky comedies with Yuyushiki and animation designer Takahiro Kishida is amongst the most renowned in his field too, yet it appears that they’re working under constraints so I’d advise to only expect a pleasant and amusing cartoon – which is good enough, if you ask me! While on that note, do expect Mitsuboshi Colors to follow a similar trend: well put together and bright in all senses of the world, but not necessarily outstanding. Perhaps some talented fellows will follow mebachi of NazoAni fame into the project, though I wouldn’t count on it as a regular occurrence. And if you’re simply craving isolated yet neat snippets of animation, you can’t go wrong with the new season of Touken Ranbu Hanamaru, by virtue of the fact that even a weakened Dogakobo focusing on Mitsue Yamazaki’s upcoming Tadakoi still has plenty of skilled individuals with a penchant for lively movement. 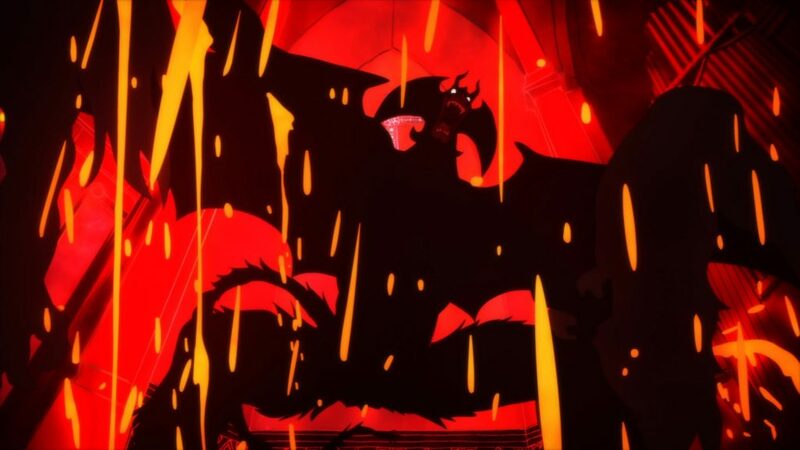 The Seven Deadly Sins S2 and Märchen Mädchen earn themselves a nod due to the involvement of renowned animators and impressive cuts in their promotional material, though any consistency is up for debate and the former will suffer the loss of its talented action director Tensai Okamura. There are only so many people making anime, especially on the level where they can individually make a difference, and their tendency to hang out together often causes impressive productions to come and go in waves. This season is clearly on the lower end of this uneven spectrum; some artists are still resting from a very heavy fall season, while others are already preparing for a packed Q2 2018 and thus can’t afford to contribute to winter series. As a result of this, there’s a small group of less of a handful series that’s shaping up to be miles ahead of its competition. 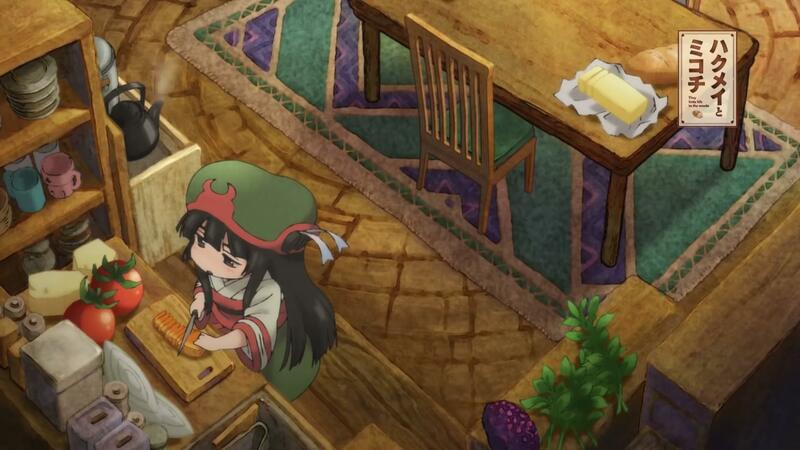 Admittedly, there also seem to be many smaller titles with fascinating little details, so perhaps this can be a season of discovery for those of you who enjoy keeping up with currently airing anime. Here’s hoping that this post will clue you in the right direction! I remember Kevin saying something about Violet Evergreen being KyoAni’s safest project and I’m still wondering what he meant by that. Were the other projects riskier than they looked or is the national appeal enough to firmly support it (also looks like an anime I wouldn’t mind showing my family). Also I find it hilarious that it’s simucasting in a bunch a of countries outside NA since we’re the ones who usually get stuff first. Shouldn’t split-cour be enough for Darlifra, though? The second cour would end up airing as originally intended. If it’s actually split-cour, anyway. Whether it’s split cours or not is the point I’m most curious about. You’d think that it would now be split, perhaps with whatever other Aniplex project that crashed airing during its break, but the things that make the most sense aren’t necessarily the answer in anime. Either way it’s already changed the dynamic of the production and they’ll have to finish at least part of it faster than expected, but a split broadcast *would* help a lot for obvious reasons. Could the other project be the upcoming SAO spin-off that got confirmed for Spring? It would have made sense for it to be winter since the game is released in February. You’re not the first one to speculate about that one. I’m still not sure but it might become clearer in the next following months. I asked different kinds of industry people about what happened here and there actually are multiple levels of planning having gone wrong regarding multiple projects. Anime is a mess. I see. Thanks for the reply. Here’s hoping it’s split-cour, and I’ll keep an eye out on Aniplex’s big projects in general. Thanks for the preview! I thought I had this season under control, but I still missed a few things here and there. 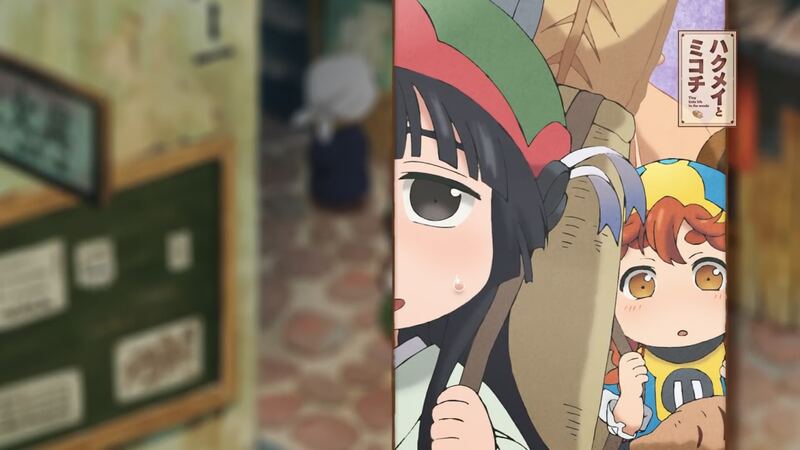 How is mebachi going to be involved in Mitsuboshi Colors? The designs do look a bit like their kinda thing. And while I’m at it – what exactly is Nazoani? Besides being a miracle of a twitter account that supposedly serves as an outlet for aninari to post his cool and viral gifs to, with mind-boggling frequency. You really sensed mebachi’s style, since she’s participating as a prop designer (clothes in particular https://twitter.com/mebachi/status/890388826111188992) I wouldn’t be surprised if she did some animation work too. Also, NazoAni is vague by design, its name is no joke! It’s a mysterious animation society with the likes of Aninari, Kei Suezawa, mebachi (for the ゆめのゆめ branch of the circle) experimenting however they please. I just love hearing Kevin get to nerd out on productions and his thoughts and predictions, he’ll often drop some juicy keywords to go search and learn about. Thank you all for the season preview.